On August 15, 1797, William Vaughan purchased from William McClean a 250 acre tract of land on the north side of Clinch Mountain on Little War Creek in Hawkins County, TN. William sold off 100 acres to John Helton almost three years later on 15 April 1800. 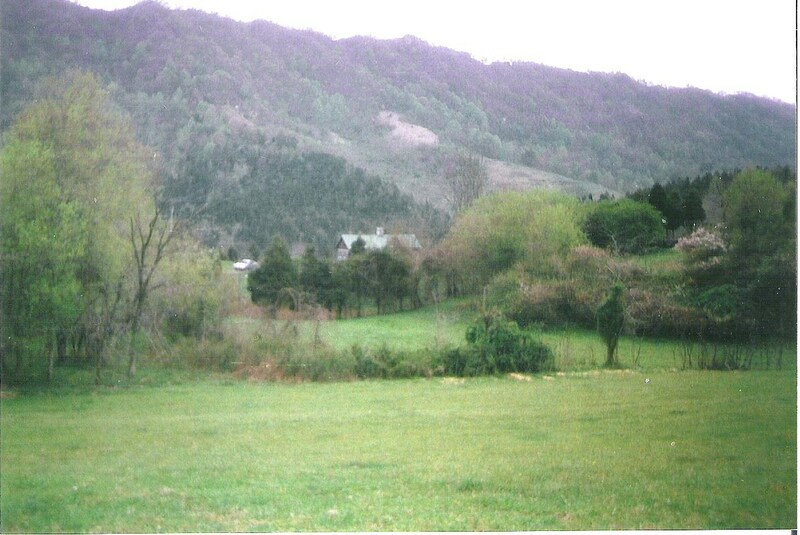 Helton subsequently resold this property to John Vaughan, who with his wife Nancy had moved to Hawkins County at about the time of the original sale. John Vaughan was born about 1762. After his service in the Revolutionary War, he came from Maryland to Charlotte County, VA, where he first met his future wife, Nancy Callicott, in 1788. They were married in Halifax County, VA in 1794, and moved to Hawkins County about 1800. John and Nancy Callicott Vaughan had 11 children. Of these was a son, Samuel N., born 1814. In his will, dated 27 December 1841, John Vaughan included a provision for Samuel to inherit this property, their first home. In this Will, the property is described. said Samuel N. Vaughan now lives, to be equally divided between them according to quality..."